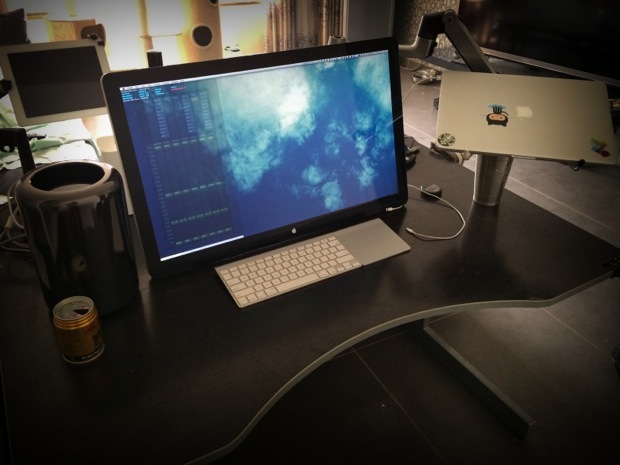 The weekend is here, which means it’s time to share another featured Mac desk setup! 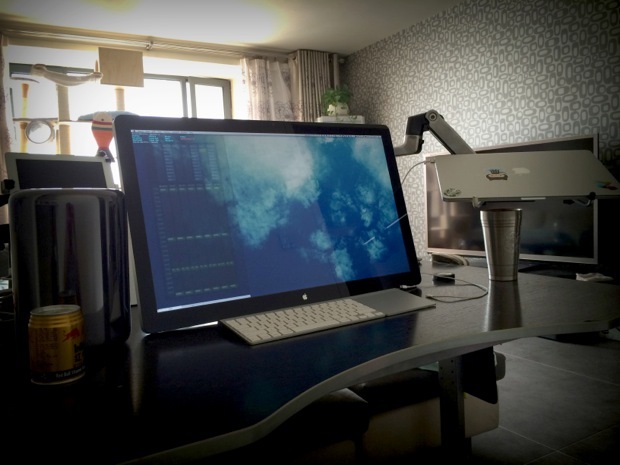 This time we’ve got the awesome Mac Pro setup of OS X programmer and freelance book writer Buick W. Let’s learn a bit more about the hardware in this setup and which iOS and OS X apps are must-haves as well. What do you use your Apple gear for? Why’d you choose this setup? I’m an OS X programmer and freelance book writer, one of my books is called OS X Masters “OS X 高手进阶”, it is a bestseller OS X book in the Chinese market. I need a tough Mac for the programming work, so the Mac Pro became my first choice. As for the writing work, a MacBook Pro with Retina display is the best choice for editing. What apps do you use most often? Do you have any favorite apps or recommendations? LogMeIn Ignition: for remote control. Thanks for sharing your setup Buick! 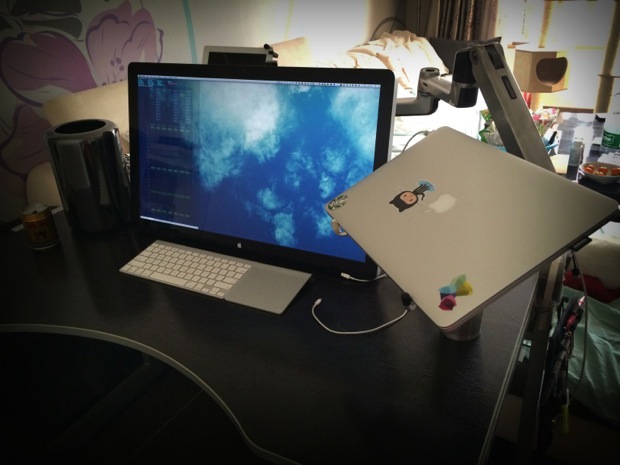 Send us your Mac & Apple setups! Do you have an awesome Apple setup, nice Mac desk, or otherwise interesting workstation that you want to share with OSXDaily and our readers? Take a few good pictures, answer these questions about the setup, and send it all in to osxdailycom@gmail.com – you might just be featured! 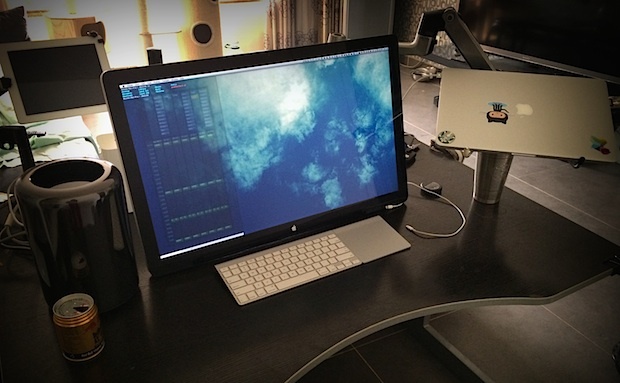 Is that an Ergotron mount and swivel? Do you know the model of the Ergotron mount and swivel? Beautiful Setup! So jealous of this setup, basically my dream computers all sitting on one desk haha! That’s what he usually does for Chinese Mac users. And he did so much to influence those users to enhance their skills or ability by Weibo. That is Just Google it! Nice! Love the cat houses. And the new Mac Pro, of course!